Yesterday was hectic to say the least. With 5 million things to do and no time to do them I was pretty much running around like a bunny on crack. In a small attempt to look partially human, (I've been sick for awhile) I hurriedly threw on a bit of makeup that morning. By the time midday rolled around my eyeliner had transferred and creased all over my lids. By that night...well, the eyeliner was a complete fail and had smudged and run everywhere. Thank you Florida heat. Summer is a notorious season for melting, creasing eyeliner but there are definitely some simple and fool-proof ways to avoid meltdowns like this. Just adding a few more seconds to my routine would have saved my poor drowning eyeliner that day. May it rest in peace. Eye primer- An eye primer applied beforehand all over the lid space will lock and seal down any type of liner you use whether it be kohl, liquid or gel. If you don't plan on wearing any eyeshadow under your liner it is even more integral as powders help to hold down pencil or liquid products. A primer like MAC Painterly Paint Pot is one of my favorites. It's opaque so it intensifies the color of eyeliner placed on top. Another great primer option is Urban Decay Primer Potion or Lorac Behind the Scenes Shadow Primer. Powder- Applying a touch of translucent powder or eyeshadow to the eyelid area before adding your eyeliner can really do wonders for its longevity. The powder will soak up any oils on the skin that may cause your liner to slip and slide. 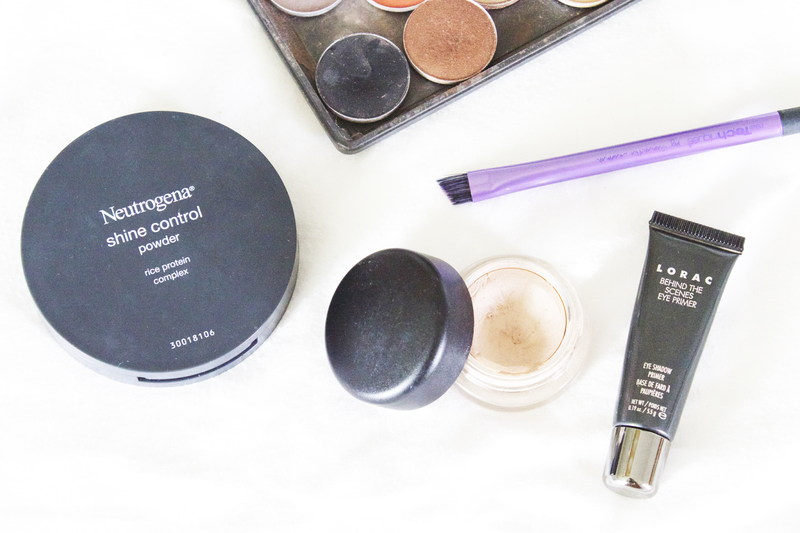 A powder like Neutrogena Shine Control Powder is a great option for oily lids. Black eyeshadow- After you have applied your liner, apply a matte black eyeshadow like MAC "Carbon" on top using a small angled brush. Press the shadow along the lash line rather than dragging it across. 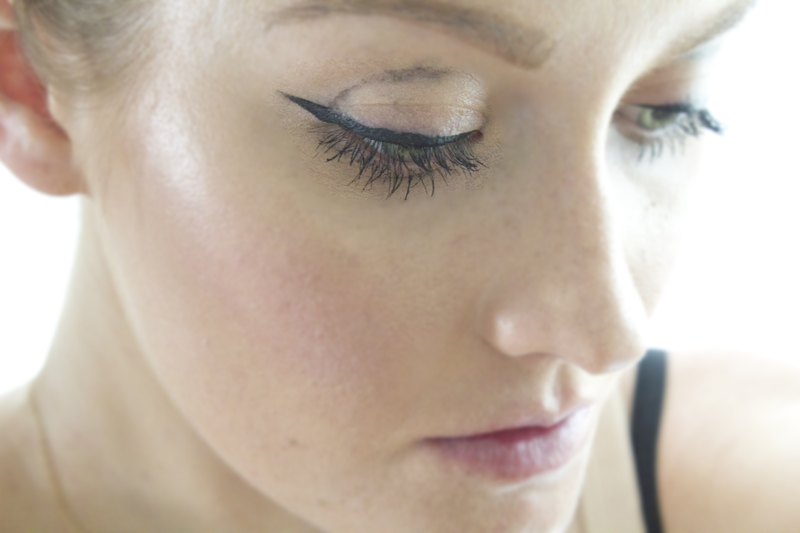 Dragging the shadow could make the eyeliner appear patchy and create unnecessary fallout. Applying the black shadow on top will mattify and seal in the liner underneath. 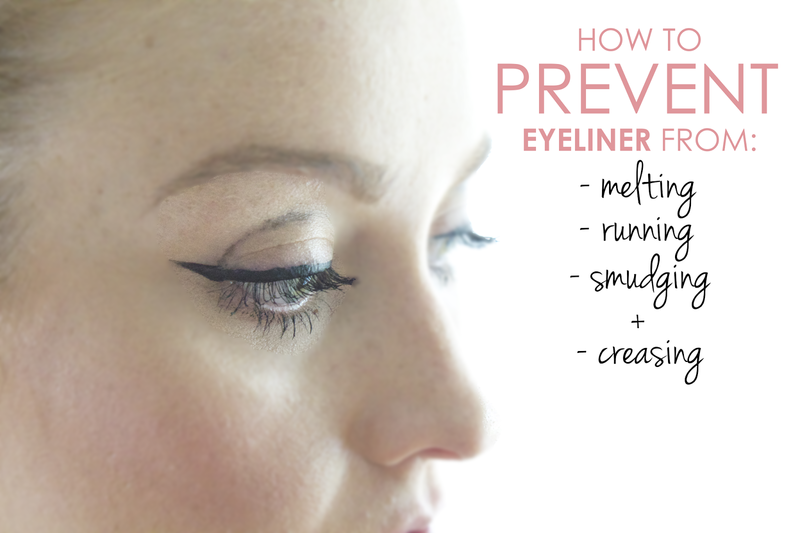 Plus, it will make the eyeliner appear more rich and opaque. If using an eyeliner other than black, choose a similar shade of eyeshadow and follow the same method. Waterproof formulas- Of course, waterproof formulas of eyeliner will greatly decrease any chances of melting, smudging or creasing. Sometimes it is hard to find our favorite products in waterproof formulas so the products and tricks above are a great remedy. Let's be real. Eyeliner might be your last concern if you're concerned about keeping the whole rest of your face on. For tips and tricks on how to achieve an entire face of melt-proof, long-lasting makeup you can check out this blog post here. If running, smearing lipstick is the problem, this blog post here is your answer.